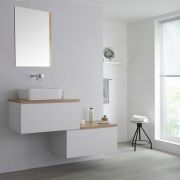 Smarten up your bathroom and add a designer solution to your storage needs with the wall-mounted Milano Oxley 1800mm stepped vanity unit and matching countertop basins. 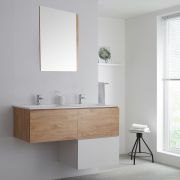 Combining the sleek matt white of the body with the golden oak woodgrain finish of the countertops, the Oxley vanity unit is certain to make an attractive statement. 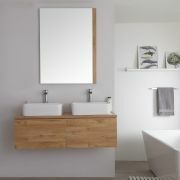 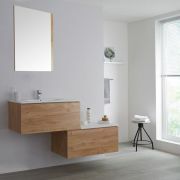 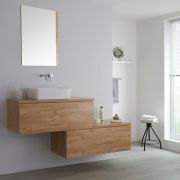 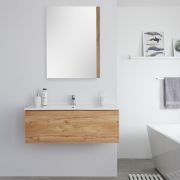 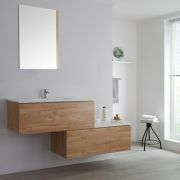 Manufactured from moisture resistant engineered wood for long-lasting durability, you can be sure that the vanity unit can cope with the rigours of the bathroom environment. 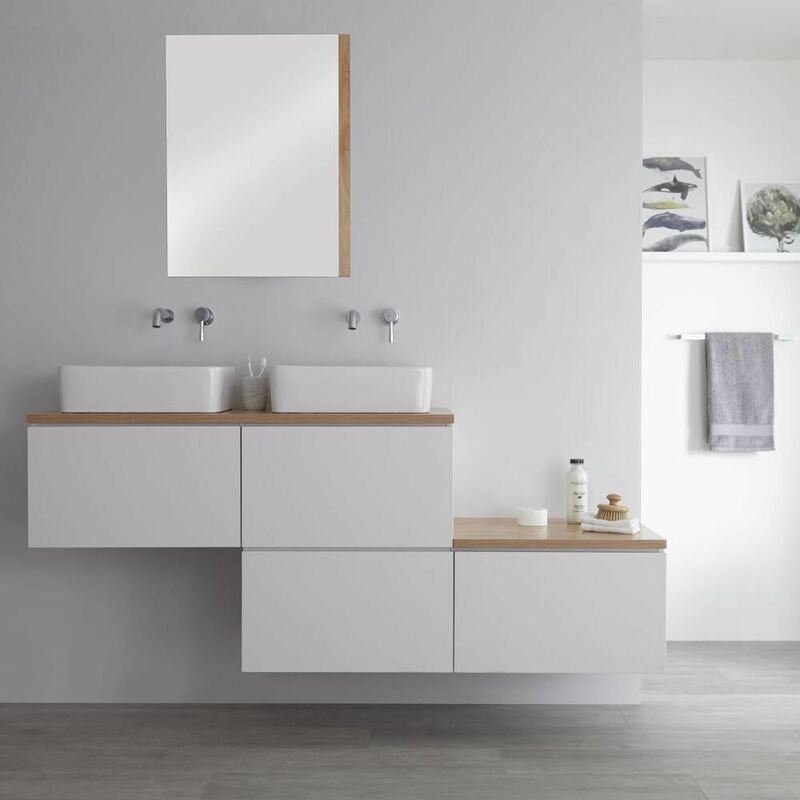 Your bathroom essentials can be kept out of sight thanks to four large push to open soft close drawers to maintain a tidy look. 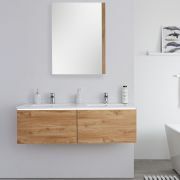 The look is completed by matching rectangular countertop basins to create a ‘his-and-hers’ look. 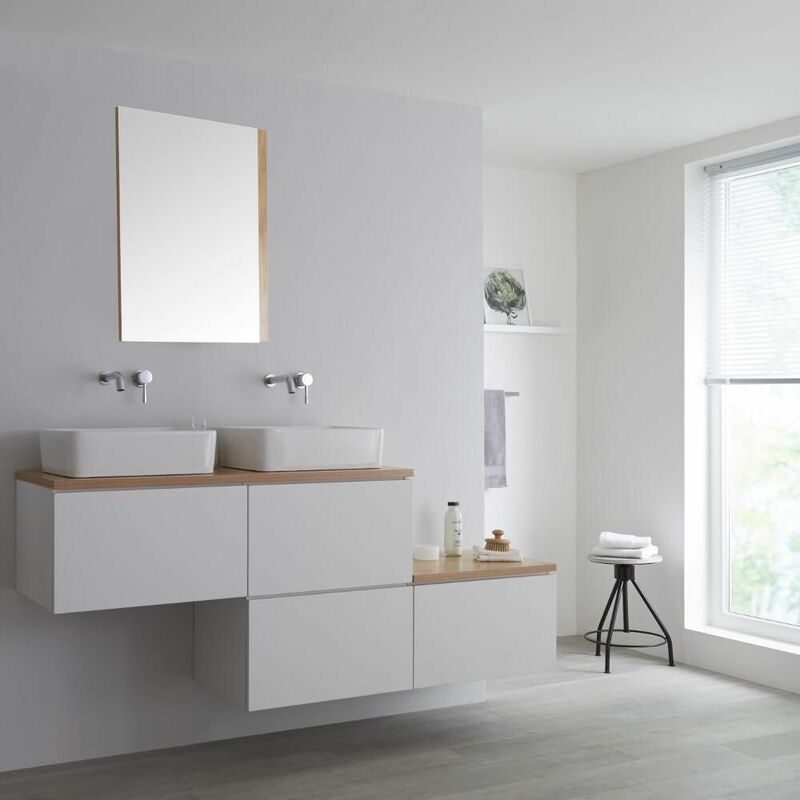 The basins are made from white glaze coated high quality ceramic and do not include tap-holes, allowing you to have a free choice of wall-mounted or high-rise taps to suit your taste. 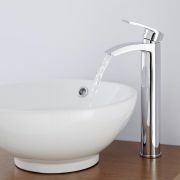 Please note: taps, bottle trap and waste not supplied - see our recommended essential products above. 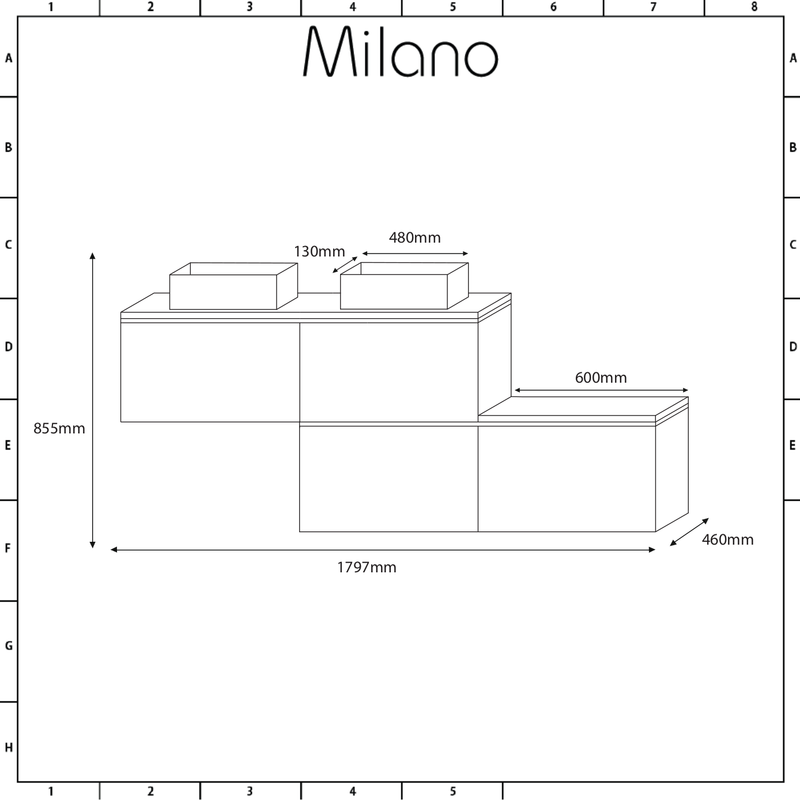 Please note: the countertop basins will need to be silicone sealed to the worktop.